For centuries, rumors of a lost ancient city in the jungles of Honduras have circulated, suffused in folklore and piquing the interest of anthropologists and adventurers alike. For decades, Steve Elkins has been one such explorer, whose efforts to unearth such a momentous find have been hampered time and again by politics, hurricanes, drug cartels, and finances. Will this mystery remain as impenetrable as that dense expanse of jungle terrain? Newly armed with a film crew and cutting-edge laser mapping technology, Elkin’s most recent attempt at uncovering this fabled Mayan kingdom is documented in director Bill Benenson’s real-life epic of relentless drive and elusive archeology. But the closer the team gets, the greater the stakes… and the bigger the snakes. Is this all in the name of academic inquiry, or are there heavier ethical implications at play? For every twist and turn, this tale is centuries in the making. Bill Benenson is known for his award-winning documentary Dirt! The Movie (2009), which premiered at the Sundance Film Festival in 2009 and was broadcast on PBS/ITVS for the 40th Anniversary of Earth Day. His film The Hadza: Last of the First (2014) screened as part of the United Nations Permanent Forum on Indigenous Issues. He was awarded the prestigious Leading Global Thinkers Award from Foreign Policy magazine for The Lost City of the Monkey God. 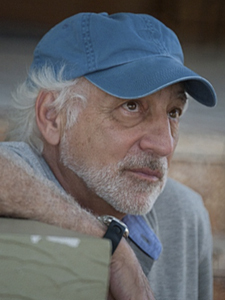 Benenson has been involved as a producer or executive producer on dozens of films, including Boulevard Nights (1979), Beasts of No Nation (2015), and Patti Cake$ (2017).